Adventure Trading is proud to announce the NEW DC Comics Licensed Super Hero Hack. Enjoy the same high quality footbags, plus their brand new printing technology which allows them to create sublimated paneled bags! 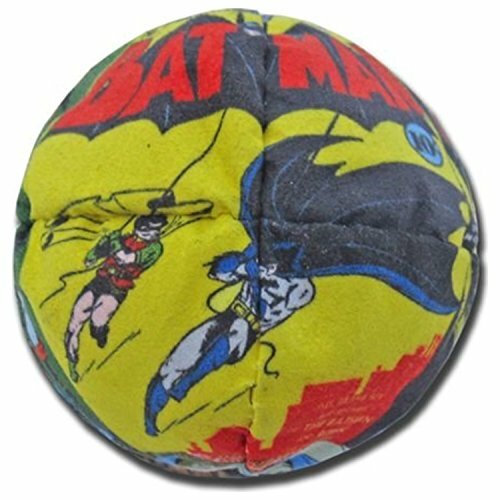 These never before seen footbags feature our favorite characters including Batman, Superman, The Joker, Harley Quinn, Wonder Woman, and more! The colors of your hacky sacky will be the same as the colors in the picture, and the design will be the same. If you have any questions about this product by Adventure Trading, contact us by completing and submitting the form below. If you are looking for a specif part number, please include it with your message.